PC chassis and cooling specialist NZXT has released an updated version of its GRID+ digital fan controller, predictably dubbed the GRID+ V2. The device isn't a huge update on the original and many of the tech specs remain the same as with the previous GRID+ device. 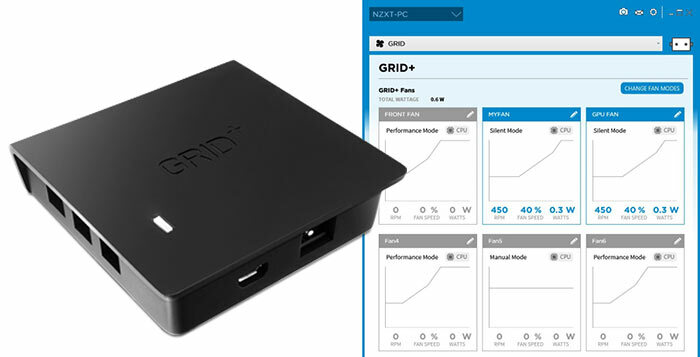 However NZXT has no stocks of the older device and is selling the GRID+ V2 at exactly the same price as the old one. These kinds of fan controllers don't use/require a 5.25-inch bay as they reside totally inside your PC case. That contrasts to units such as NZXT's Sentry 3, which integrates a touch-screen display fan controller into the front of your PC case. In the pictured example, above, the NZXT GRID+ V2 is attached to the motherboard tray via 3M Dual Lock, but it can be located elsewhere, depending upon your particular system. It requires a 12V, 4-pin Molex power in. All the fan adjustment jiggery pokery is done via the CAM software. 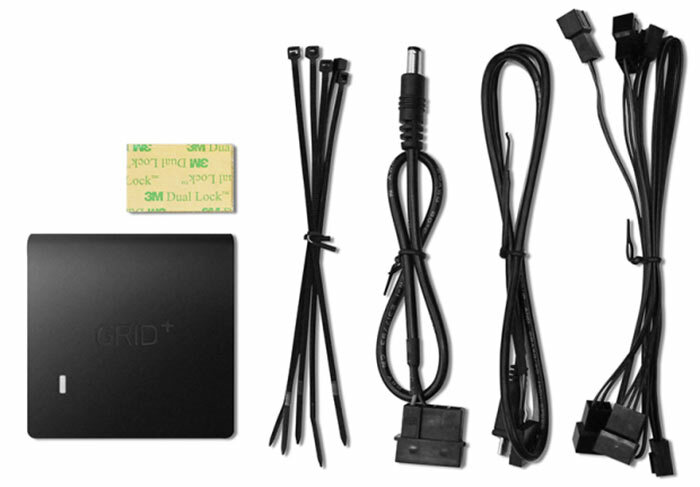 Accessories included with the GRID+ V2 hardware include: 5 x Zipties, 2 x 3-Pin Female to 4-Pin/3-Pin Y extension cables, 1 x Molex to phone jack connector and 1 x Micro-USB cable. 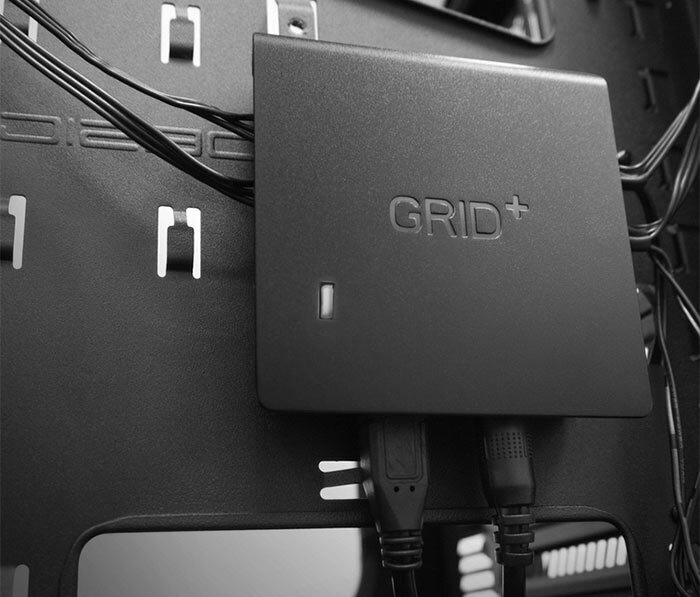 The NZXT GRID+ V2 digital fan controller is available now priced at $29.99 in the USA. In Europe it will be available from next month for £19.99 + VAT. The standard warranty length is two years. Okay, so if it is largely the same what are the differences? Gah should read better. Roll on the weekend. Seems to me that fans are used less of late and besides, the motherboard (AT least ASUS) has it's own fan controller which works fine. I have the V1 Grid+. It's a pretty decent fire and forget controller. Set up your fan curves and forget about it. The CAM software seems to update fairly often, ironing out any little annoyances. OMG. It just makes me think that there will be more cable clutter. I think I'll pass.